12 months have now gone by since I was operated on well a little poet’s licence in use there as it was on 7th March 2013 when the cancer was cut out of me. I’m doing ok so far, not 100% as the surgery was so invasive and it will take time to get back to normal. I have developed a hernia about the size of an “A” cup. It’s where the muscle is weakened because of the surgery (and me trying to lift a heavy rotavator into my shed). No pain or discomfort just a little worrying that’s all. Mr Collins (Surgeon) said that if he could he would like to leave it until June before he operates to put things back. I’ve no problem with that. He said that it was a very small operation and at the most I would be in hospital for 2 days. I had a chance to put a little back the other day when I was asked to help with the annual collection for the Oesophageal Cancer Fund. 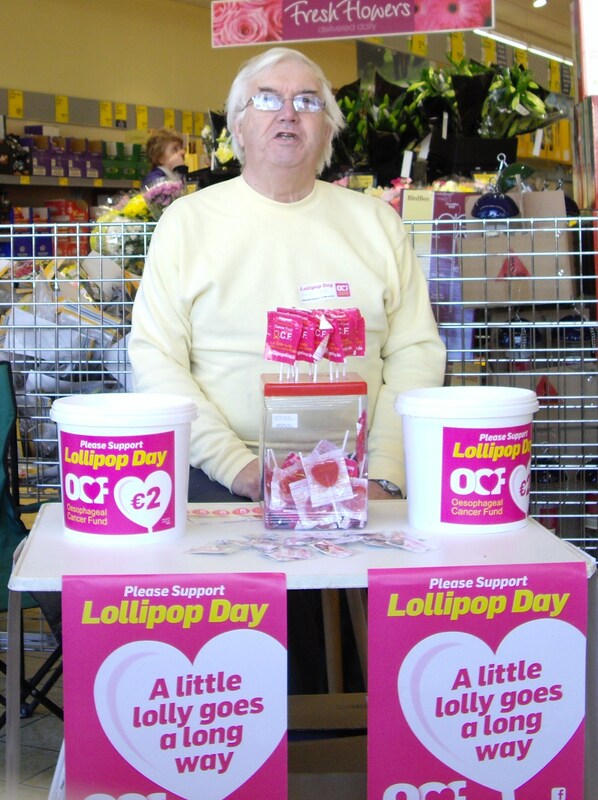 known as Lollipop Day, I was told that there would be three volunteers to help with the collection BUT One said that she could only spare ½ a day so she went over to help at Claremorris. That left 2 I contacted the others to arrange to meet but one cried off leaving 1! I got over to Claremorris Aldi at 9.30 where the management could not have been more helpful. Do you want table chairs the canteen is this way and the tea is also there. Fantastic! At 10.00 Ann arrived to help with the collection and she was really good. 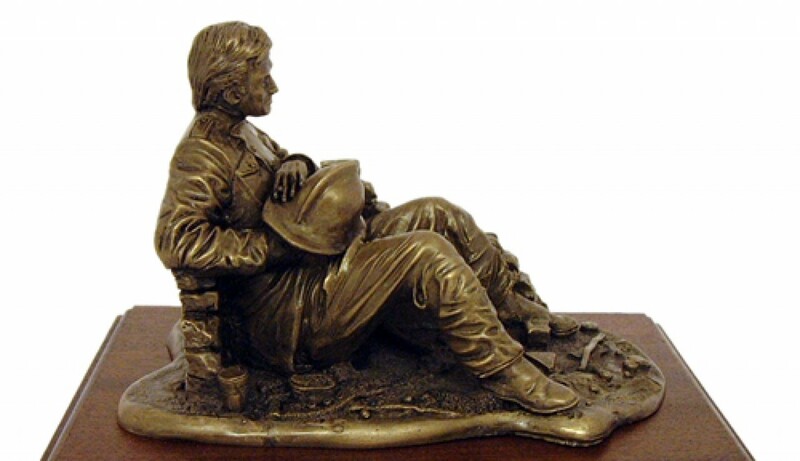 Unfortunately she suddenly left at 12 midday and that was her done for the day. Now I am on my own. Never mind. At 3.00 I ran out of badges to five to people so I packed up. I was determined not to count the donations but curiosity got the better of me in the evening and a rough count showed that I had collected about € 500. Not bad. Meanwhile back in the mud today has, for a change been dry and mild so at last I have been able to get some preservative on to the panels on the chicken roof and run. Next job will be to rotovate the new fruit patch.